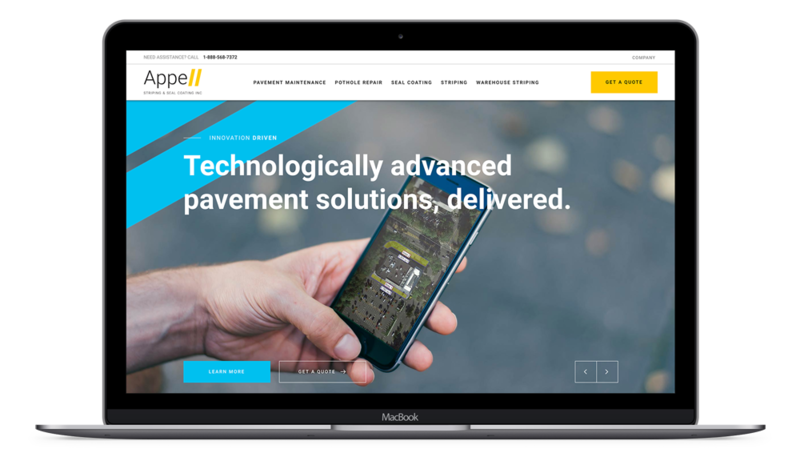 Appell is an innovative pavement services company, rooted in professionalism and customer satisfaction. 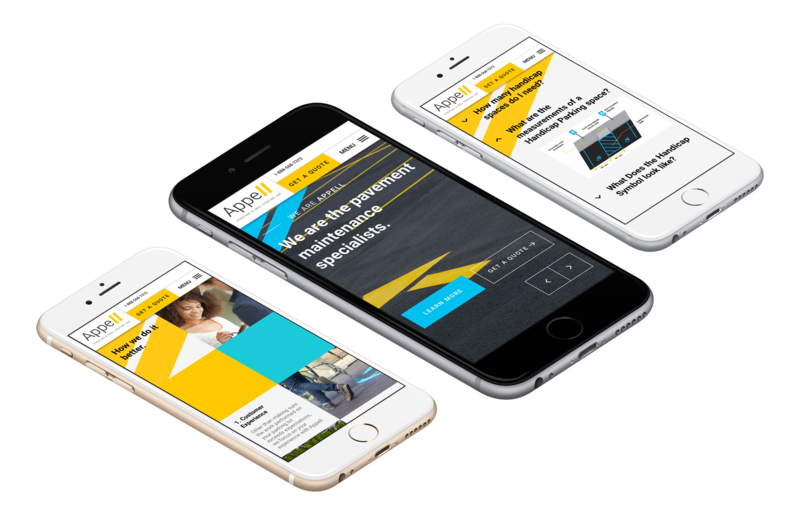 Appell approached us with the need to target a higher level of clientele through a well-crafted website, a high impact digital marketing campaign, supporting print collateral and vehicle wraps. Due to the reactive nature of Appell’s business, we used bold headlines to relay their messaging and capture their audience’s attention. For body font and subheadlines, we chose a sans serif typeface to complement the font in their logo. The uniquely branded photography showcases the strength and precision of the Appell team while on the job. We were tasked with positioning Appell from a local striping and seal coating company to a national provider of pavement maintenance. With a goal of propelling the growth of their business, our challenge was to revitalize a company in a long-standing industry with a fresh and exciting look that reflected the energy and progressiveness of the Appell team. Since launching their new website and marketing campaign, Appell has seen an overwhelming increase in lead volume and lead quality. It was essential to communicate Appell's unique value while demonstrating their ability to outshine their competition on each page. We developed Appell’s brand to embody their unwavering enthusiastic spirit and dedicated work ethic. This was successfully achieved in the branding, visual design, and overall user experience. We created an incredibly user-friendly mobile site with a comprehensive navigation, easily accessible contact information and options to get a quote. The highly informative website was built using an unconventional layout, drawing users down the page for continued scrolling and clear direction to contact the company. Our direct mail and digital marketing campaigns have elevated and transformed Appell from a small business to a middle-sized business. So far, conversion rates have increased by over 500% and the cost per conversion has been reduced by over 200%. We are so proud to partner with Appell and continue to grow their success.